They are the most-trusted profession in America (and with good reason). They are critical to patient outcomes (especially in primary care). Could the growing army of nurse practitioners be an answer to the doctor shortage? The data say yes but — big surprise — doctors’ associations say no. Let me ask you a quick question. Why do you listen to Freakonomics Radio? I’m guessing it’s for the same reasons that we make it. Because it seems like a good idea to challenge the conventional wisdom once in a while; to dig in and take stuff apart and see how the world really works; also: to explore counterintuitive ideas. Here’s one counterintuitive idea: there’s no way you can give away content like Freakonomics Radio and then expect people to pay for it. Who would voluntarily pay for something you can get free? But you know what, they do! Not just for Freakonomics Radio, but millions of people do this all the time. Voluntary contributions at museums and other cultural sites; pay-what-you-want meals, and yoga classes. Frankly, this model strikes me as a bit nuts. It makes no sense — and yet, often, it works. And it’s completely Freakonomical. Every week, we give away Freakonomics Radio but we also think it’s worth your support. The show gets more than 8 million listens every month, so we know a lot of people like it. But, only a very small percentage of listeners make a donation. So, listening — very popular. Giving support to the thing you consume? Not so much. Richard THALER: Right, because why should I donate because I can listen for free? So there was a famous paper written by Paul Samuelson defining what’s called the public goods problem in economics and proving that for goods like public radio that anyone can consume without paying that no one will pay for it. And what we know is thankfully some people do contribute. And so the real world is a mixture. There are free riders, and there are cooperators. So what are you — a free rider or a cooperator? Only you can decide. As for us, here we are, just a podcast standing in front of its audience, asking for money with our transparent, truthful nudge. And we’re going to make it easy. You can invest in the future of Freakonomics Radio, in future episodes, when you text the word “nudge” to 701-01. You can also go to freakonomics.com/donate and make your donation. Why not, right? After all, you’ve probably been accepting hundreds of nudges for all sorts of things that don’t necessarily make your life better. Twitter notifications on your phone. Those Amazon ads that follow you all the way to your inbox. If you’re working in a big corporate office, your so-called perks — the ping-pong tables and free food — are nudging you to work longer for no extra pay. Here at Freakonomics Radio, we’re trying to be 100% transparent with our nudges. This show is worth something to you. Otherwise you wouldn’t be listening right now. And we are going to build on the value by making more shows, tell more stories that highlight the amazing connections between economics and human behavior. That’s where your money goes — to making the show. Super simple. What does that mean? Well, on average, at least five people work on any given episode. Sometimes, it’s as many as eight — Really talented producers who spend their days wrangling the data, lining up the evidence, and tracking down experts that make this show unique. And there are other costs beyond staff — studio time, office space, equipment, engineering and mixing, editing and sound-design software, distribution. And those costs really add up. So if you want more of this show, more episodes, more exploration of our world through the lens of Freakonomics, now is the time to chip in. Sign up to become a sustaining member, maybe an $8-a-month donation, and you will be joining the other very smart people who already figured out how they want to support a podcast that’s been in their lives for years. Join the Freakonomics Radio team, become a member. Thank you so much. And now on to today’s episode. If I asked you to name the most-trusted profession in America, what would you guess? MAN: Ohhh. That’s a challenging question. WOMAN: Wow. I’m too old to trust anybody. WOMAN: Maybe something in the arts? No, it’s not something in the arts. MAN: Hmmm. The most trusted profession in America today? Right. It’s not politicians. In fact, they’re the least-trusted. WOMAN: The most trusted profession? I can’t quite answer that. MAN: This morning we had breakfast at the hotel. And the lady who served the breakfast, she looked very sweet and kind. So I would say that lady. No, it’s not that lady. MAN: Umm, so many jobs. WOMAN: I would have to say a teacher. “Teacher” is a pretty good guess. But not the answer we’re looking for. MAN: The most trusted profession in America? Maybe a doctor? WOMAN: The most-trusted profession, I would say… nurses. I would say nurses. Correct! Nurses. For 15 years straight, nurses have topped the Gallup Poll list of professions that Americans say are most honest and ethical. Last year, nurses got an 84 percent approval rating. The next closest: pharmacists, with 67 percent, and then doctors, with 65. Followed by engineers, police officers, and so on, all the way down to journalists (at 23 percent), lawyers (at 18 percent) and, yes, members of Congress (at 8 percent). Martin HACKMANN: So one key advantage of this study is that we can compare the effect of nurses on patient health. Kelly BOOTH: I’m really excited to be a nurse practitioner because I want to make the health care system less broken. Janet CURRIE: The evidence seems to be that increasing accessibility of care in this way is actually getting better outcomes. But: how this movement is running into a political and regulatory system that’s hard to change. Uwe REINHARDT: It’s just almost insane. It’s like putting the Mafia in charge of the New York Police Department. One reason there are so many nurses in the world is that nurses perform so many functions. FRIEDRICH: Despite their prominent role, their effect on patient health is not fully understood. And so that’s where our paper comes in. That’s the economist Benjamin Friedrich. FRIEDRICH: Yes, I’m an assistant professor at the Kellogg School of Management at Northwestern University. The paper Friedrich mentioned is called “The Returns to Nursing: Evidence from a Parental-Leave Program.” His co-author is Martin Hackmann. HACKMANN: Yeah, so I’m an assistant professor of economics at U.C.L.A. Hackmann and Friedrich make clever use of what might be called an accidental experiment. FRIEDRICH: So we’re in Denmark in the mid-90s. And basically the economy’s not doing so well; relatively high unemployment. HACKMANN: And the idea at the time was to bring in some public programs that would rotate the workforce and give opportunities for people that are currently unemployed. FRIEDRICH: And what the government decides to do is expand their existing parental-leave program and offer up to one year of additional leave of absence to every parent with a child age eight or younger. One year of extra paid leave, that is. FRIEDRICH: So parents will receive typically 70 percent of their previous income, and with job security to return to their previous position. So Denmark was offering a rather generous parental-leave program, including a guaranteed return to your old job. HACKMANN: So any parent could take advantage. FRIEDRICH: Yeah, so the point is this reform was not targeted at the health sector at all, right? HACKMANN: Statistically, though, it’s heavily women that took advantage of it. FRIEDRICH: So it hits health-care providers completely by surprise. HACKMANN: And that’s one reason why we see these large effects in the nurse occupation, because 97 percent of nurses are female and that’s one main reason why that occupation was particularly affected by the program. HACKMANN: But then there were no unemployed licensed nurses that could replace them. That’s right: even though this leave program was designed to ease unemployment, it turns out there weren’t that many unemployed nurses. Certainly not enough to replace all the ones who took a leave. HACKMANN: And that overall led to an average a reduction in nurse employment of about 12 percent. So an unintended consequence of this parental-leave program was that the nursing workforce suddenly shrank by 12 percent. The doctor workforce, meanwhile, being mostly male, barely shrank at all. This sudden shortage of nursing care turned out to be exactly the kind of shock to the system that a researcher can exploit to measure cause and effect. In this case, Hackmann and Friedrich wanted to see how the nursing shortage affected health outcomes. They had something else going for them: Denmark, like the rest of Scandinavia, is a bit obsessive about record-keeping, and it collects all sorts of personal data on just about every citizen. FRIEDRICH: So that means we can observe every individual and whether they take advantage of this leave program. HACKMANN: So that gives us rich information on employment. And then we have very rich health data. FRIEDRICH: And we can analyze information about patients in hospitals and nursing homes, so we’ll know hospital admissions, we’ll know diagnoses and treatments. HACKMANN: We see detailed diagnosis codes, so that allows us to zoom into different hospitals sub-populations. We can compare heart-attack patients. We look at people that have pneumonia. Newborns at risk. FRIEDRICH: And we’ll know from the death register, for example, the mortality rates of different patient groups. And so we can very specifically say which patients were most affected by the reduction in nurse employment at these different providers. HACKMANN: We do find negative effects on hospitals. FRIEDRICH: Yes. So the way we measured it was to look at the 30-day readmission rates. Readmission rate is a standard measure of hospital care — the idea being that if you have to go back to the hospital after you’re discharged, the original diagnosis and care weren’t so great. On this measure, the economists found the nursing shortage led to a 21 percent increase in readmission for adults and children, and a 45 percent increase for newborns. So nurses would seem to be quite important to overall health outcomes. But if you think that effect is large, consider the data from nursing homes, where nurses play an even more prominent role than in hospitals. HACKMANN: We see that this reduction in nurses leads to a 13 percent increase in mortality among people aged 85 and older. FRIEDRICH: Yes. So what we find is that in particular circulatory and respiratory deaths in nursing homes significantly increase. HACKMANN: To put this roughly into perspective, the parental-leave program reduced the number of nurses by 1,200 in nursing homes persistently and that increased the number of moralities by about 1,700 per year when you consider the 65-year-olds and older, or about 900 people if you look at people aged 85 and older. So these effects are what we think quite large. Quite large indeed. Which suggests that the returns to nursing are quite high. So, if nothing else, this evidence would seem to justify the fact that nurses consistently win the most-trusted profession competition. But what else should we make of this finding? Imagine you’re a policymaker. You’d think you’d look at this finding and say — well, since nurses are plentiful, and effective, and relatively much cheaper than doctors, perhaps we should think about reassessing and maybe expanding the role nurses play in our health-care system. Okay, let’s do think about that. For this part of the story, we’ll bring in Freakonomics Radio producer Greg Rosalsky. ROSALSKY: The story I’m about to tell goes to the heart of the American health care system. Christy Ford CHAPIN: This very expensive, inefficient model. ROSALSKY: It’s a story about how political pressures can lead to distorted economics. REINHARDT: So you should not be surprised that your health spending is double what it is in other countries. ROSALSKY: And yeah, it’s a story about nurses. But before I start, I should tell you something about myself and nursing. My mom’s a nurse (hi, Mom). My aunt’s a nurse. My sister’s mother-in-law is a nurse. As if all that weren’t enough to make me pro-nurse, then there’s my younger sister. Alexandra HOBSON: So my name’s Alexandra Hobson. I’m your sister. I’m a registered nurse that’s about to graduate from nurse practitioner school and I’m excited about the graduation that’s coming up soon. ROSALSKY: Alex is getting her nurse-practitioner doctorate from the University of San Francisco, where she also got her bachelor’s degree in nursing. HOBSON: So I’ve been a nurse now for six years and I’ve been mainly focused in primary care, because it’s an area that I am passionate about. ROSALSKY: Primary care — including things like annual checkups and vaccinations — is usually our first line of defense against chronic health problems. Public-health experts say it’s incredibly important, and the medical literature points to a strong relationship between access to primary care and good health outcomes. Studies also show that in many cases, it can save money, since good primary care means catching and treating ailments before they become chronic, and costly. My sister grew passionate about primary care during nursing school. HOBSON: Because after doing my rotations in the hospital I saw a lot of complications and advanced chronic diseases that I know could be prevented if provided the right preventative services. Without primary-care services, patients usually wait until they have complex illnesses and they end up in the emergency room. ROSALSKY: Despite the importance of primary care, America suffers from a shortage of doctors who actually provide it. Of the roughly 600,000 practicing physicians in the U.S., only about a third of them work in primary care. This shortage is getting worse, as baby-boomer doctors retire, and since fewer than a quarter of newly minted doctors go into primary care. By 2030, the Association of Medical Colleges projects a potential shortage of more than 40,000 primary-care doctors. REINHARDT: I think we underpay primary-care physicians and that’s one reason young people don’t go into it. REINHARDT: I teach health economics, regular economics, and finance at Princeton. ROSALSKY: Reinhardt says medical students are drawn to higher-paying specialities like plastic surgery and cardiology at the expense of pediatrics, general practice, and other primary-care concentrations. The average specialist earns about 46 percent more than the average primary-care physician. But financial incentives aren’t the only driver. REINHARDT: It’s an issue of prestige. The culture of the medical school is such that students sort of automatically look up to the specialists and that somehow primary care is kind of viewed as a stepchild. ROSALSKY: The primary-care gap is increasingly being filled by nurses, like my sister. She worked in a clinic serving Bay Area veterans. While working nearly full-time, she went on to get her masters in public health, and now her doctorate. HOBSON: Yep, I’m a doctor nurse and proud of it! ROSALSKY: The nurse practitioner degree, which can be a doctorate or a master’s, requires a lot of training and exams. It leads to a sort of hybrid position, that combines the patient-centered focus of nursing with skills historically reserved for doctors. Like physicians, nurse practitioners, or NP’s, make diagnoses, prescribe medications, order tests and x-rays, and refer patients to specialists. One key difference is the focus and rigor of their training. NPs are required to do hundreds of hours of supervised clinical work and, like my sister, they often spend years in the workforce as a registered nurse before getting their NP degree. But they aren’t required to do a residency, which for doctors is a minimum of three years, typically in a hospital; once in the workforce, their responsibilities vary. For example, in fields involving complex surgeries, NPs assist physicians. But when it comes to primary care, NPs are increasingly taking a leading role. Surani Hayre KWAN: There are not enough providers to take care of all the patients in the country today. ROSALSKY: That’s Surani Hayre Kwan, former president of the California Association of Nurse Practitioners, and an NP herself. KWAN: And everyone is scrambling to figure out how to fix that problem. ROSALSKY: Between aging baby boomers and the Affordable Care Act, there’s been a huge spike in demand for health care services, especially primary care. But the supply of health care isn’t keeping up. It was a similar imbalance, in the mid-1960’s, that led to the creation of the nurse practitioner profession. The federal government had just created Medicare and Medicaid, which provides health care coverage to the elderly and the poor. The sudden, massive demand for services was not met with a commensurate explosion in supply. Prices skyrocketed and people found it difficult to get care. KWAN: So nurse practitioners first became a role in 1965. ROSALSKY: The first NP program was created at the University of Colorado by a pediatric nurse named Loretta Ford and a pediatrician named Harry Silver. The original idea was that NPs would provide health care to kids from low-income families. But the role soon expanded. KWAN: The use of nurse practitioners has spread like wildfire to literally every aspect of health care. You name it, a nurse practitioner probably works in that field. ROSALSKY: Over the past decade, the number of NPs in the U.S. has more than doubled, to over 200,000. And more NPs are now graduating each year than MDs. In the spring of 2017, my little sister was becoming one of those NP graduates and I flew home to California to watch the ceremony. ROSALSKY: Did you hear us screaming your name? ROSALSKY: Here, give me a hug. I’m really proud of you. HOBSON: Thank you. Thank you. ROSALSKY: I also met a lot of my sister’s classmates, and I asked them why they were becoming NPs. Erin FLYNN: I’m Erin Flynn. I am an LGBT nurse. I’m really excited to be a nurse practitioner because it is a really underserved population that really needs more primary care focused on helping them. Christian EKLON: Name, Christian Eklon, coming from Daly City, California. Why I’m excited to be a nurse practitioner? I’m just ready to change the lives of my patients. Kelly BOOTH: My name is Kelly Booth. I am from Phoenix, Arizona, originally and I’m really excited to be a nurse practitioner because I want to make the health care system less broken. KWAN: We’ve now had three full-practice authority bills that have all failed. ROSALSKY: So what’s the problem? To figure it out, I decided to drive up to the state capitol, in Sacramento. After passing through metal detectors and security, I made it to the office of Senator Ed Hernandez. Greg ROSALSKY: Hey, how’s it going? ROSALSKY: Hernandez represents the San Gabriel Valley, just east of Los Angeles. HERNANDEZ: So, by profession, I’m an optometrist. Been one for 30 years, been involved in politics pretty much my whole life. Became an activist, was concerned about health care in the state. How individuals didn’t have access. Decided to run in ’06; got elected. Now I’m in the Senate and been chair of the health committee and I’ve been honored to be a public servant. ROSALSKY: One of the first big things Hernandez did after getting elected was to form a select committee that analyzed the medical workforce of the state. HERNANDEZ: We found out there was a huge shortage of primary-care providers but not only was there a workforce shortage, but there was a huge distribution problem of where primary-care providers go to. ROSALSKY: Where they didn’t go to was California’s rural areas — a trend that holds true in many other states as well. The National Rural Health Association says that a quarter of the U.S. population lives in rural regions, but only 10 percent of physicians actually practice there. There’s a similar shortage in low-income urban communities. In both cases, doctors are reluctant to accept the low reimbursement rates of government-funded health programs. Hernandez wanted to do something about these primary-care shortages. One option would be to get more doctors into the system. But it turns out that’s really difficult. For one thing, Hernandez says, there’s limited capacity at U.S. med schools. Of the 53,000 students who applied for admission in 2016, 32,000 were rejected from all the schools they applied to. That’s sixty percent of all applicants. HERNANDEZ: So we have a finite number of medical schools, whether it’s in California or across the country. And they’re not growing in leaps and bounds. The biggest hurdle is obviously the costs. ROSALSKY: There’s also the time and money it takes to become a doctor: four years of undergrad, four years of med school, and then a residency of three to seven more years. HERNANDEZ: There’s at least 12 years before they’re out in the work force. ROSALSKY: An even bigger issue is the limited number of residency slots. Since 1965, the federal government has provided most of the funding for residencies through the Medicare program. But the number of Medicare-funded residencies was capped by Congress in 1997; and other sources of funding have been slow to make up the difference. There’s an ongoing debate about the residency system. One side argues we should remove the funding cap and increase the number of subsidized residencies. Another side would like to see more fundamental reforms. They believe a redesigned system could work without the $15 billion Washington spends on residencies every year. It’s a big, complicated subject and I won’t take you down that rabbit hole right now. The important part is both sides agree the current policy is a key issue behind the shortage of doctors — and why, each year, thousands of med-school grads can’t find a residency. So between the residency bottleneck, and the med-school bottleneck, and the very high cost of tuition, you can see why so few new doctors are heading into the relatively low-paying field of primary care. So Hernandez had an idea. What if, instead of trying to break all those bottlenecks that constrict the supply of doctors, he could encourage a different supply of primary-care providers? HERNANDEZ: Nurse practitioners — they’re not only less expensive to train; they’re more cost-effective because there’s less overhead for them. They have lower student debt and therefore they’re willing to possibly even take a lower reimbursement. They truly could could fill in the gap when it comes to primary care. ROSALSKY: But as we heard earlier, California law does not give NPs full-practice authority. Instead, they have to work under the supervision of physicians, who are each limited to overseeing only four NPs. And that supervision can cost a lot of money. Hernandez believes this requirement severely limits the impact NPs can have on closing the primary-care gap. So he began a fight for a bill to free NPs from these constraints. HERNANDEZ: So what they can do under this bill is exactly what they’re allowed to do under the law right now. The only difference is they can do it independently without physician supervision. REINHARDT: I am not aware of any literature that said care given by nurse practitioners is of inferior quality or causes safety issues and so on and so forth. ROSALSKY: Some studies also find patients prefer NPs to doctors, perhaps because they report NPs, on average, spend more time with patients. So their training is less expensive, they get similar or better outcomes. And, by the way, they typically make about half as much as primary care physicians. All this makes NPs good candidates to provide primary care to underserved populations. So you can see why health economists like Reinhardt support giving NPs full-practice authority. REINHARDT: Well, first of all, I think it would make health care more accessible to patients because for many things you don’t really need an M.D., right? But you need somebody who knows how to stitch a wound, who knows if something is going around like the flu and they would know initially what you should do. Secondly, it would make it cheaper and more efficient. ROSALSKY: It’s an idea that has support from a wide range of organizations, including The National Governors Association, the Federal Trade Commission, and the AARP. HERNANDEZ: Businesses, business groups. There was a large coalition. ROSALSKY: Hernandez, a Democrat, also had support from Republicans, like Senator Jeff Stone, who represents portions of Riverside County. Jeff STONE: I applaud Senator Hernandez’s efforts. I believe that nurse practitioners could provide health care in some of the more rural regions in the state of California that presently are highly underserved. It’s unfortunate that we have some people that may even lose their lives because they’re not getting the attention, the medical attention, that a nurse practitioner can appropriately deliver. ROSALSKY: With so much support for this bill, and so much evidence in favor, you might think it was a no-brainer for it to become law. HERNANDEZ: Of course, it’s a no-brainer. It’s the right thing to do. Why it didn’t get through? REINHARDT: They are a regular interest group that wants to shovel money into the pockets of their members. Also, please consider making a donation to support this kind of Freakonomics Radio episode. You can go to freakonomics.com/donate or text the word “nudge” to 701-01. We’ll be right back. Our producer Greg Rosalsky has been reporting from California about a legislative fight to allow nurse practitioners more authority to practice medicine. ROSALSKY: Right. Thanks, Stephen. So Democratic State Senator Ed Hernandez was telling us about this bill he sponsored, which had all kinds of support. HERNANDEZ: Why it didn’t get through? It’s the California Medical Association. It’s the political clout that they have here in the Capitol. REINHARDT: In other words, they are a regular interest group that wants to shovel money into the pockets of their members, which is what these associations do. ROSALSKY: That, of course, is not how the A.M.A. sees itself. “Our mission,” the organization says, “is to promote the art and science of medicine and the betterment of public health.” Reinhardt believes the A.M.A. does, in fact, make legitimate contributions to medicine. It’s their contributions to economics and politics that he objects to. As do many other critics. CHAPIN: The traditional story about the American Medical Association is just how politically powerful they have been. ROSALSKY: That’s the University of Maryland historian Christy Chapin. CHAPIN: I am author of the book Ensuring America’s Health: The Public Creation of The Private Health Care System. ROSALSKY: As Chapin documents in her book, the A.M.A. has played a central role in the development of the U.S. health care system. In the 1940’s, for instance, they helped sink President Harry Truman’s push for universal health care. CHAPIN: It arguably was the largest campaign ever conducted against one piece of legislation. ROSALSKY: The A.M.A. has also had a strong hand in shaping the medical marketplace, much to the chagrin of free-market advocates. The economist Milton Friedman, for instance, spent much of his career blasting the A.M.A. for using its political and economic power to stifle competition and drive up prices. This was especially the case when it came to the A.M.A.’s control over medical licensing. Milton FRIEDMAN: And the control over that licensure procedure is what has enabled the American Medical Association to exercise its monopoly power for these many decades. ROSALSKY: Friedman argued that the A.M.A. exerted undue control over every step in licensing doctors. The rules governing how to get licensed, the people who sit on licensing boards — even which approved schools students had to graduate from in order to practice. FRIEDMAN: And by some strange accident, the list of approved schools in every state is identical with the list of schools approved by the American Medical Association. ROSALSKY: This control, Friedman said, put an artificial limit on the number of people who could become doctors. Not only that, he said, licensing prevented perfectly capable medical professionals —who aren’t doctors — from playing a bigger role in providing care. FRIEDMAN: Many of us know that there are many medical practices which can perfectly well be carried out by people who do not have the full training. ROSALSKY: The net effect of licensing, he believed, was to raise the incomes of doctors and raise health care prices. Friedman wasn’t a fan of any sort of licensing. He saw it as a way that professions seize power and exploit consumers. FRIEDMAN: And if you really want to know the real function of licensure, of licensing, all you have to do is go and see who goes down to the state legislature to lobby in favor of licensing. Now if the real, true function of licensing is to protect consumers, you’d expect consumers to be lobbying for licensure. But there isn’t an occupation you can name, which hasn’t been down at the state house trying to get licensure. ROSALSKY: At the California Statehouse, a lot of lobbying in recent years has been aimed at protecting the medical licensure that already exists. Since 2013, when Senator Ed Hernandez introduced the first of his two nurse-practitioner bills, the California Medical Association has spent $9 million on lobbying activities, and another $4 million on campaign contributions through their PAC. It currently employs 10 registered lobbyists. These dollar figures are not attached to specific legislation, but it’s been very clear that nurse-practitioner bills have been an intense focus of the C.M.A. During that same time period, the California Association of Nurse Practitioners spent less than $500,000 on lobbying activities and only $150,000 on campaign contributions through their PAC. It currently employs only one registered lobbyist. This is a typical story: the C.M.A. can outspend anyone looking to expand their scope of practice. For Hernandez, who trained as an optometrist, the issue is personal. HERNANDEZ: So when I graduated in 1986, California had one of the weakest scope-of-practice laws in the profession of optometry. We still do and over the years I’ve seen how powerful the C.M.A. is. ROSALSKY: The same is true for his Republican ally Jeff Stone, who trained as a pharmacist. STONE: Many will tell you that pharmacists are some of the most-educated but under-utilized health care professionals on the planet. And I tend to agree with those. So you know we’ve we’ve seen these struggles to expand our scope and share those frustrations with our nursing counterparts. ROSALSKY: When I first began reporting this story, Senator Stone had picked up where Senator Hernandez left off, introducing new legislation to give nurse practitioners full-practice authority in underserved areas. But by the time I got to California, it had been almost completely neutered. It has since become law, but it only allows NPs to independently prescribe one specific drug meant to fight opioid abuse. So what happened? STONE: Well, unfortunately we have political realities up here. I’d like to say that it’s the citizens of this state that really govern this institution. But I’m going to be a first to tell you that it’s not. ROSALSKY: If the citizens aren’t governing, who is? STONE: Well, the California Medical Association is a very active political organization up here, as a member of what we call “the third house” and and they do their job; is to make sure that their physicians are able to practice without giving up the scope of their practice to any other entities under just about any circumstances. So they’re a powerhouse to deal with. REINHARDT: So you have this system where basically the rules have been written by the hospitals, by the doctor, by the pharma industry, and so on. REINHARDT: So you should not be surprised that your health spending is double what it is in other countries, where the supply side isn’t given nearly the power to write legislation, to structure the health system as they will please. ROSALSKY: It’s a system that the American Medical Association continues to strongly influence, although it’s not as powerful as it once was. The historian Christy Chapin argues it’s lost legitimacy with a lot of doctors. CHAPIN: As I did very careful research on the association, what I found is that oftentimes the leaders were out of step with what the rank and file wanted. ROSALSKY: This was especially the case when the A.M.A. fought the creation of Medicare and Medicaid. Before then, as many as 75 percent of the nation’s doctors were A.M.A. members. CHAPIN: Today, their membership is down to about, I think, 20 percent. ROSALSKY: But, Chapin argues, we’re still living with the health care system the A.M.A. fought to create — a system that economists like Reinhardt have long criticized for its inefficiency and for its fee-for-service incentives that drive up costs. REINHARDT: It’s really something of a shame, but there’s no question the A.M.A. left its stamp on the system that we have. ROSALSKY: It’s a stamp seen in many places. For instance: the A.M.A. has been deeply influential in setting the rates that the government and insurance companies pay for services. These payment rates are lower for NPs than for MDs, and much higher for doctors with a specialty. Critics say this is a big incentive for specialization, at the expense of primary care. The A.M.A. was also a key player influencing Congress to cap the number of Medicare-funded residencies in the mid-1990s. Although they and the C.M.A. have since come out in support of more residency funding as a means of addressing the doctor shortage. However, they remain opposed to more fundamental reforms. REINHARDT: Rather than saying, it’s great to have nurse practitioners, but they should be under the control of a physician. I don’t like that arrangement. I’m an economist. I like competition. ROSALSKY: Going one step further, the economist Dean Baker recently declared that U.S. doctors’ associations, by limiting competition, are essentially acting like a cartel. This, he argued, is a key reason why doctors earn twice as much in the U.S. as in other rich countries. Whether through the A.M.A. or other institutions, doctors remain deeply influential in health policy including, in some states, by sitting on licensing boards for nurses. REINHARDT: Our our medical boards, the licensing boards, reek of conflicts of interest. I mean it’s just almost insane. It’s like putting the Mafia in charge of the New York Police Department. You just don’t do that. Why would you have physicians dominating the licensing boards for nurses? So I would have a system where the licensing boards would be much less dominated by practicing physicians and be as clean as can be of conflicts of interest for starters. ROSALSKY: But in the case we’ve been talking about today — the full-practice authority of nurse practitioners — there’s been a big shift. A growing number of states, facing provider shortages and accelerating costs, have gone ahead and granted this authority: earlier this year, South Dakota became the 22nd state to give the nod. The U.S. Department of Veteran Affairs recently did the same — over objections from the A.M.A. Which means that nurse practitioners have full-practice authority in V.A. facilities even in states that withhold that authority. As for states like California? Well, even there, Reinhardt says, the time will come. REINHARDT: And I will tell my friends in the C.M.A. in California, you will be defeated. You will eventually lose this battle. That was Greg Rosalsky, reporting on the push to upgrade the nurse-practitioner model of medicine. The economics of it, at least, are pretty straightforward: a more efficient allocation of resources would lower costs while maintaining or maybe even improving outcomes. Which, I think we’d all agree, the U.S. health care system could really use. Remember, we rank No. 1 in the world in health care expenditure at 17 percent of GDP. On medical access and outcomes, meanwhile? We are nowhere near the top. So there’s a lot of room for improvement. Making better use of nurse practitioners seems like one good option. Any other good ideas out there? CURRIE: So retail clinics seemed to me to be a an example of something that could increase competition. That’s the economist Janet Currie. CURRIE: I’m the Director of the Center for Health and Wellbeing at Princeton University. For years, Currie’s research was focused on the wellbeing of kids in particular. Lately, she got interested in the idea of competition within health care. CURRIE: We hear about this a lot — that having more competition in health care markets might improve the way that they function. Or conversely, that one of the big problems with health care markets is a lack of competition. You know, lots of places that have only one hospital or one hospital consortium, health insurers that are very concentrated, and so on. For an economist, it’s a bedrock belief: competition helps increase quality and drive down costs. But for competition to be optimal, certain conditions must be met. CURRIE: And in the case of health care, almost none of the conditions are met for competition to be optimal. Consider a basic one: price transparency. CURRIE: So one of the things that’s really the most messed up about the health care market is you just don’t know how much anything is going to cost. You go to the hospital, You’ve no idea how much you’re going to have to pay for it. It’s impossible to make rational decisions. It’s really like we’re all groping around in the dark if we don’t know how much anything costs. There is, however, one health care market where prices are posted. They’re called retail clinics. CURRIE: So what is a retail clinic? It’s a clinic like you might imagine in a drugstore where you can just walk in — you don’t usually need to have an appointment. They have a limited number of services. They have the price posted for the service, and the person that you see is usually a nurse practitioner. There’s not usually any doctor there. The modern retail-clinic movement got started in 2000, at a Cub Foods grocery store in the Minneapolis-St. Paul area, where a company called Quickmedx set up shop. Quickmedx is now known as MinuteClinic, and it’s owned by the CVS Pharmacy chain. Other pharmacy chains and retailers like WalMart have followed suit: there are now more than 2,000 retail clinics in the U.S.
CURRIE: They do a lot of immunizations — so things like flu shots are really big. They also do diabetes screenings. They do some asthma type of check. If somebody has a chronic condition and it needs to be checked periodically — you can go to the drugstore, get it checked, probably buy your supplies that you need at the same time, and go home. 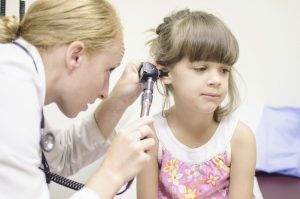 The nurse practitioners at retail clinics treat a lot of minor ailments like pink eye, urinary tract infections, and earaches. Also: cuts, burns, sprains, and so on. CURRIE: So you can go online wherever you are. Look at their posted price list, and you know exactly what it’s going to cost you to go to CVS and get your shot or get whatever it is that you need to do. And so, if retail clinics and other types of non-conventional providers created enough pressure that other, more traditional providers also had to be transparent about prices, I think that would have an enormously positive impact on health care, health care access, and debates about health policy. Services at retail clinics are significantly cheaper than elsewhere. There’s also the convenience factor. CURRIE: You don’t need an appointment. You can just walk in and walk out without having to disrupt your day at all. And I think that’s actually really important. They are usually open on weekends. They’re open after school. They’re open in the evening. So I’ve used them frequently. For example, if I had to get a form signed for my child’s school and I could just get it done and not have to make an appointment and wait two weeks and then get the form signed. That convenience, however, could have a downside — as Janet Currie encountered when she read some earlier studies on retail clinics. CURRIE: Those studies argued that you saw basically people getting more care. So if you make it cheaper and you make it easier, then people go more frequently. And they argued that on net it was more expensive, and not less expensive. Now, that wouldn’t necessarily be a bad thing if more spending leads to better health outcomes. But more to the point, when Currie examined these studies, she saw they didn’t fully consider a huge potential source of saving. In the form of health care spending that retail clinics might prevent. CURRIE: There’s a lot of emergency room visits for things which in some sense are not really emergencies. Your child has pinkeye and can’t go to school tomorrow unless you get it treated. And the doctor’s closed. So you go to the E.R. So there’s a group of the E.R. visits that you might think could directly go to a retail clinic instead. And there are also E.R. visits because of simple things that didn’t happen. So if somebody has diabetes and they don’t take care of it, they could end up in a diabetic coma and have to go to the E.R. And so something that was a matter for primary care becomes an emergency. So Currie decided to run a robust study on the economics of retail clinics. She partnered with fellow economists Diane Alexander and Molly Schnell. CURRIE: So what we did was we looked at all of the retail clinics in New Jersey. They compared geographic areas that had retail clinics nearby with those that didn’t, and then analyzed emergency-room use in those different areas. They focused on three categories of medical conditions. The first: minor things like earaches and pink eye, which had been the subject of the previous studies that found clinics increased spending. CURRIE: But then, we were also interested in conditions like flu and diabetes that send a lot of people to hospital but are preventable through good care. So that’s the second category. And the third category were conditions that would seem to be obviously outside the scope of a retail clinic. CURRIE: And so in that category would be things like fractures, poisonings, and childbirth. You’re not going to go to CVS to have your baby. You’re going to go straight to the hospital. So Currie, Alexander, and Schnell ran the numbers to measure how retail clinics affected E.R. visits in these three categories. CURRIE: So what we found was that there was a reduction in E.R. visits for the minor things, and that’s kind of consistent with what other people had found. CURRIE: But the new finding really was that there was also a reduction in visits for the preventable-care conditions like diabetes, in particular, and flu. So access to primary care at clinics does seem to decrease hospital use. And what about the third category of conditions — were people having their babies at CVS? CURRIE: And then in the third category — where we didn’t expect to see any effect — we didn’t see any effect. So that was reassuring. They also computed the costs of health care spending in places with and without clinics. Contra the earlier studies, they found, on net, big savings for consumers and the taxpayers who fund government health care spending. CURRIE: Yeah, so our estimate was that it was about $70 million a year in New Jersey. So the savings were coming from people getting their minor condition treated in a retail clinic instead of an E.R. And then the second source of saving was actually preventing people from getting sick by getting them flu shots and getting them timely diabetes screenings. Currie thinks that $70 million in savings in one year in one state could actually be a lot more. That’s because the state they happened to study, New Jersey, is not one of the 22 states where nurse practitioners have full-practice authority. CURRIE: Well, in New Jersey the nurse practitioners are operating under the authority of a doctor so they don’t really have full-practice authority. And so if they did, then for one thing, it might make it more attractive for nurse practitioners to take these and secondly, they might have a little bit more discretion in what they were able to do. CURRIE: So I think one of the most important things for promoting retail clinics would be to change scope-of-practice laws to make it easier for nurse practitioners to staff them. Currie identified another problem with New Jersey retail health clinics: they aren’t allowed to accept Medicaid. CURRIE: Yeah, that’s actually remarkable. So one of the nurse practitioners that we talked to told us that people would come in and say that they were on Medicaid and they’re not allowed to treat people who are on Medicaid. The same person would come back and say, “Well, I’ll pay cash.” They really didn’t want to go to the E.R. for some reason. So it seemed crazy that something that the patients really wanted and would be cheaper for Medicaid was not available to them. Currie has come to believe that retail health clinics are generally a good, cost-effective idea and could be improved by accepting Medicaid and giving nurse practitioners more authority. She also believes that clinics might pose enough competition to force traditional health care providers to improve their business practices. So much of the recent health care debate has been about the demand side — especially the rise in people with insurance coverage. Currie argues that sure, that’s important, but it would also be wise to focus on improving the supply side of health care. CURRIE: And that side always seems to get ignored in the public-policy debate. And it may be because there are very powerful groups, like the American Medical Association, and so perhaps the government fears to do anything that might impact the supply-side. The A.M.A., as you might imagine, is not the biggest fan of retail health clinics — especially when they’re not supervised by a physician. When we asked the A.M.A. for a direct comment on clinics and nurse practitioners, they replied, “The A.M.A. encourages physician-led health care teams that utilize the unique knowledge and valuable contributions of all clinicians to enhance patient outcomes.” They also expressed concern that clinics without a supervising doctor may, quote, “further compartmentalize and fragment health care delivery.” The A.M.A. argues the importance of “continuity of care,” meaning access to a doctor that you’ll see regularly. CURRIE: Now, to the concern about continuity of care — I think that’s a really big concern and it is a legitimate concern with people going to clinics that they’re not going to be seeing the same person all the time. I think the problem is we’re sort of comparing the care from retail clinics to some sort of idealized care which doesn’t really exist for most people now. We all move around a lot. Doctors go in and out of practice, doctors move around a lot, and you end up seeing different doctors all the time anyway. Uwe Reinhardt, Currie’s fellow Princeton health care economist, is less generous toward the medical associations. REINHARDT: And while, on the one hand, you don’t accept Medicaid patients. On the other hand, you worry that a Medicaid patient might not get the best quality if they go to a nurse practitioner. So the argument seems to be “for the poor, nothing but the best. And since we don’t want to pay for the best, the poor get nothing.” I find that a very cynical posture. Worse yet, Reinhardt argues, the influence of associations like the A.M.A. and C.M.A. is still grotesquely outsized. REINHARDT: We don’t really have a democracy in the way we teach that in high school. It’s more a plutocracy really. A thing run by interest groups. What the average American patient dreams about or wants is completely irrelevant. As I always put it, what 10 million Americans might want to aspire to is nothing compared to what one K Street lobbyist thinks about in the morning in the shower. That was, once again, the Princeton economist Uwe Reinhardt. Some very sad news to share with you: just before releasing this episode, we learned that Reinhardt had died. He was 80 years old. Reinhardt was one of the great minds on health care economics, always thinking about how to improve the system. He was also a friend of this program, and we feel privileged to have interviewed him several times. Our condolences to his family, and our thanks to Uwe for all that he taught us. Coming up next time on Freakonomics Radio: This past election day, the state of Texas passed a referendum that’ll allow banks to offer a prize-linked savings plan, what’s sometimes called a “no-lose lottery.” It’s a smart policy idea, a great alternative to the high-risk, low-return state lottery. And you want to know how that Texas law came to pass? It started with one person who happened to listen to one episodes of Freakonomics Radio about the no-lose lottery. Melissa KEARNEY: So a lot of Americans think the lottery is their only chance at winning big sums of money — why don’t we take that appetite for gambling, for a product like this, and attach it to a savings vehicle that offers some positive return? It’s a win-win situation. So next week, we’ll revisit our episode “Is America Ready for a No-Lose Lottery?” and we’ll hear from the guy who got the ball rolling in Texas. Sometimes our show can actually help get something done — and that’s in large part thanks to your generosity. So please consider joining all the other people who support this show by making a donation. Go to freakonomics.com/donate or text the word “nudge” to 701-01. And thanks. Freakonomics Radio is produced by WNYC Studios and Dubner Productions. This episode was produced by Greg Rosalsky. Our staff also includes Alison Hockenberry, Merritt Jacob, Stephanie Tam, Eliza Lambert, Emma Morgenstern, Harry Huggins and Brian Gutierrez; the music throughout the episode was composed by Luis Guerra. You can subscribe to Freakonomics Radio on Apple Podcasts, Stitcher, or wherever you get your podcasts. You can also find us on Twitter, Facebook, or via email at radio@freakonomics.com. Christy Ford Chapin, University of Maryland historian. Janet Currie, director of the Center for Health and Wellbeing at Princeton University. Benjamin Friedrich, assistant professor at the Kellogg School of Management at Northwestern University. Martin Hackmann, assistant professor of economics at University of California, Los Angeles. Ed Hernandez, California state senator. Alexandra Hobson, registered nurse and family nurse practitioner. Surani Hayre Kwan, health practice chair for the California Association of Nurse Practitioners. Uwe Reinhardt, professor of economics and public affairs at Princeton University. Jeff Stone, California state senator. “Americans Rate Healthcare Providers High on Honesty, Ethics” Inc, Gallup (December 7, 2011). Capitalism and Freedom by Milton Friedman (University Of Chicago Press, November 15, 2002). “Does Preventive Care Save Money? Health Economics and the Presidential Candidates.”, Joshua T. Cohen, Peter J. Neumann, and Milton C. Weinstein, New England Journal of Medicine (February 14, 2008). Ensuring America’s Health: The Public Creation of The Private Health Care System by Christy Ford Chapin (Cambridge University Press July 20, 2017). “The Returns to Nursing: Evidence from a Parental Leave Program” Benjamin U. Friedrich, and Martin B. Hackmann, Working Paper, National Bureau of Economic Research (February 2017). “Shortening Medical Training by 30%” Ezekiel J. Emanuel and Victor R. Fuchs, JAMA (March 21, 2012). “Toward Graduate Medical Education (GME) Accountability: Measuring the Outcomes of GME Institutions” Candice Chen, Stephen Petterson, Robert Phillips, Fitzhugh Mullan, Andrew Bazemore, Sarah O’Donnell, Academic Medicine (September 2013). “How Do We Know What Really Works in Healthcare?” Freakonomics Radio (April 2, 2015). “Why Doesn’t Everyone Get the Flu Vaccine?” Freakonomics Radio (January 8, 2015). Next Post »Why Doesn’t Everyone Get the Flu Vaccine?